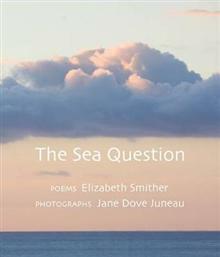 This stunning blend of poetry and photography by well-known Taranaki poet Elizabeth Smither and photographer Jane Dove Juneau borrows its title and unifying theme from one of Elizabeth Smither's poems. This stunning blend of poetry and photography by well-known Taranaki poet Elizabeth Smither and photographer Jane Dove Juneau borrows its title and unifying theme from one of Elizabeth Smither's poems: The sea asks 'How is your life now?' It does so obliquely, changing colour. It is never the same on any two visits. The Sea Question explores subjects as diverse as a girl wearing red lipstick or red shoes, a cherubic baby, a beach or a storm-swept bay, the last hours of a little dog, a garden with a ghost, a roadside cross with a child's inscription and the questioning sea itself.